A hydrostatic test is a way in which pressure vessels such as pipelines, plumbing, gas cylinders, boilers and fuel tanks can be tested for strength and leaks. ... They are then re-qualified at regular intervals using the proof pressure test which is also called the modified hydrostatic test. 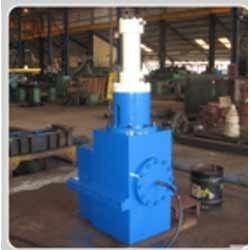 To meet the various requirements of the customers, we are involved in providing Hydro Testing Service. 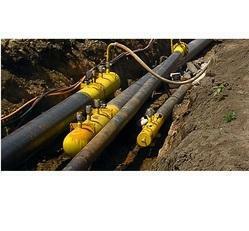 Our company is highly rated in providing Hydro Testing Services. We Are CCEO Approved in all types of industrial cylinder hydro testing work. Captivating on the skills of our professionals, we are involved in rendering Air Receiver Hydro Testing Service. Our expertise also lies in successfully handling the service demands of providing maintenance of Fire Extinguishers. We provide Fire Extinguishers Hydro Testing Services. Our engineering skills & expertise are directed towards designing of fire fighting equipments with latest and proven technologies and based on national and international codes. The boiler in a modern Thermal Power Plant produces steam at very high pressures and temperatures. One of the most important yet simple test that ensures the integrity of the boiler is the ‘Hydrostatic Test’.